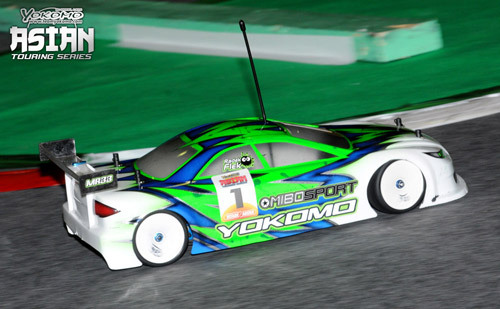 Ronald Volker remains in charge of qualifying for the Yokomo sponsored Asian Touring Series pilot race in Japan with the German ace making it three TQ runs in the opening three of the five scheduled qualifiers. The ETS Champion, who dominated the opening round of the European based series in Germany three weeks ago, currently looks on target to repeat that performance here at the Yatabe Arena. Having taken the opening qualifier as his regular European rivals made mistakes, Volker said after some small adjustments to his BD5 WXi for Q2 he has more confidence with the car allowing him to push harder. 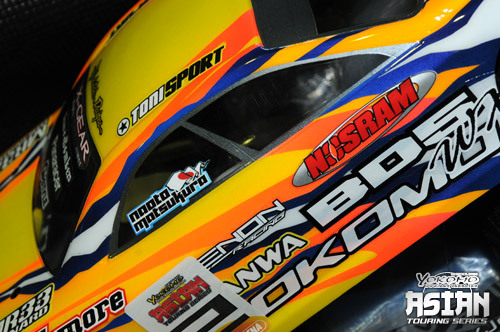 Running a new fastest overall time in Q3, the factory Yokomo driver said he plans to finish off the day, which ends with the fourth round of qualifying, with the same set-up and which if he TQs will ensure he is the Top Qualifier for the inaugural ATS event. Currently sitting second in the qualification ranking taking the second fastest time in Q1 and Q2, Juho Levanen said his Associated TC6 was not as good in Q3 after he made a change to his set-up. The Finn was on for second again in the third qualifier but thinking he was already finished his run lost .5 second on the last lap to allow Alexander Hagberg to take the spot demoting his to third. Levanen said he changed his set-up to make the car more stable which improved it in some areas but with less steering it was worse in other parts of the track. Planning to stiffen up the car which features new suspension parts he is confident that if the changes have the desired effect he can challenge Volker. Hagberg said he has tried a number of set-up changes on his Xray but they have not given any big improvements. Admitting he is having to try really hard, the Swede said it is proving very tough to keep up with Volker. 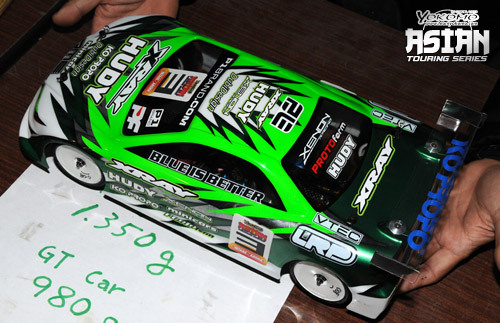 Team-mate Hudy, currently sitting 6th in the qualification ranking, said he tried a more aggressive setting in Q3 having run a safe set-up in the opening two rounds but went too far and now needs to find a balance between the two set-ups. Japan’s National Champion Naoto Matsukura once again finished fourth, the Yokomo driver showing great speed but unable to break into the Top 3. Only Volker has run a faster lap in qualifying than the young Japanese star but mistakes are preventing him from mixing it with the European trio at the top of the ranking. Behind Matsukura in fifth is Tamiya Racing Factory driver Akio Sobue who has taken his TRF417 to the fifth fastest time in all three rounds improving on his pace each round. Sixth fastest in Q3 with his best run so far is another young Japanese talent Yuugo Nagashima who sits 8th overall behind fellow Yokomo driver Lucas Urbain. Unfortunately for Urbain after a positive start to the day in controlled practice his day is not currently living up to early expectations. In Pro Stock 20-year-old Czech driver Radek Flek took Q2 after a mistake by Ivan Laptev dropped him to fifth but the Russian bounced back in Q3 to claim his second TQ run of the day. Kiyoto Kanno is the top Japanese challenger, the Xray driver from Fukushima surprising himself with his pace as he set the second and third fastest times in Q2 & Q3 respectively. If you republish any elements from this page on another website, including text, original pictures or formatted results please be sure to add a link back to this page as the source.